Concentrating on the task at hand is difficult with glare in a worker’s eyes or on their computer screen. Controlling glare and increasing visual comfort is a contributing factor to satisfied workers and increased productivity. Solar Screen window treatments cut glare on computer and media screens, increasing productivity and the quality of image, design and clerical work, without cutting off the view through the window. All our solar screen fabrics have been laboratory tested to determine their solar performance levels, related to color and fabric density. This scientific data is available for each commercial solar fabric and each color choice to assist in choosing the fabric that will best meet the needs of the individual room, exposure, and function of the application. Control glare and heat while increasing comfort for those attending meetings and presentations. Solar Screen shades make using personal data devices easier, allowing workflow to continue smoothly even in a room with numerous windows. In our high tech world, media is a part of everyday routine. Solar screen window treatments manage glare for personal screen use very well, but a group media or large screen scenario in a conference room calls for blackout shades.Ambient light can be too overpowering for some kinds of media viewing technology and industry-specific activities. Insolroll Dual Shades combine Blackout Shades and Solar Shades in a single window to provide the answer for rooms that need both darkening and ambient light control. Our commercial solar screen and blackout fabrics have the durability and fenestration properties to control the light in virtually any scenario. Decorative blackout fabric with the look of woven shredded bamboo. 100% polyester with acrylic foam backing, in 2 colors that coordinate with Biscayne semi-sheer fabric. Click to view larger swatches. Twilight Fire-rated (FR) blackout fabric has a rich, textile appearance with a subtle sheen, and will not allow light flow through the fabric. This elegant fabric has a matching translucent fabric counterpart, Daybreak. Composition: 42% fiberglass, 51% acrylic 7% cotton flocked backing (PVC-Free). Click to view larger swatches. 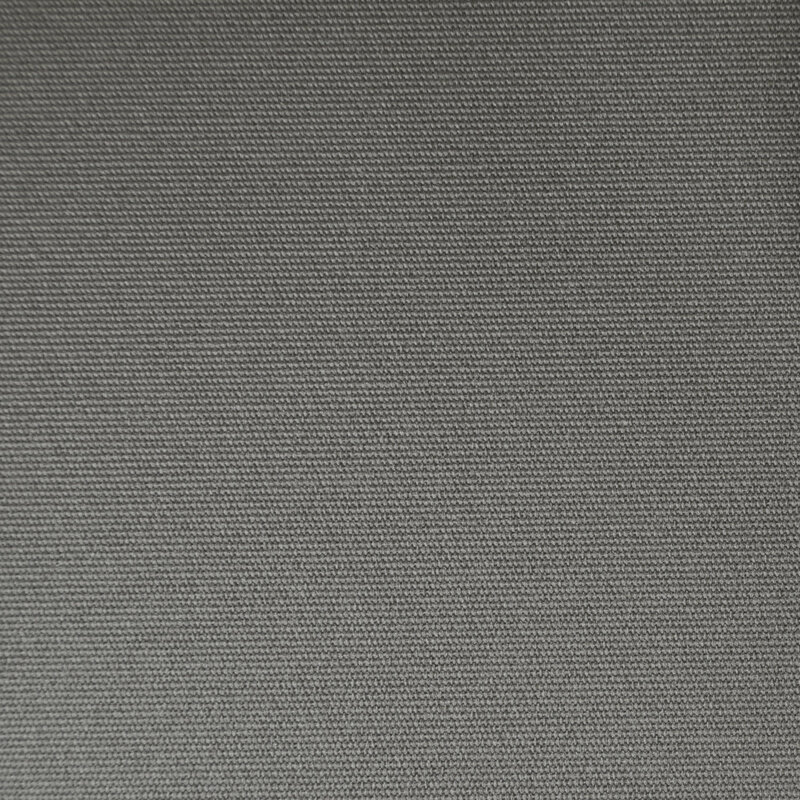 Shadow blackout fabric features a stylish, natural looking horizontal slub that provides great surface interest. With PITCH BLACK® coating made to withstand the harshest sunlight conditions, Shadow provides excellent UV protection, room darkening and privacy. 55% polyester, 25% cationic polyester, and 20% cotton; in 4 colors. Click to view larger swatches. Orion FR blackout fabric is a lightly textured, smooth fabric with soft acrylic foam backing and 100% polyester base fabric. Perfect for adding privacy or room darkening, Orion is available in 5 neutral colors. Click to view larger swatches. Fire-rated (FR) blackout fabric made of 100% polyester with acrylic coating; Nocturne is a commercial grade, durable blackout fabric available in 5 classic colors. Click to view larger swatches. Nightfall is an opaque, fiberglass and vinyl Fire-rated (FR) blackout fabric. 3 ply vinyl, 1 ply fiberglass construction results in a commercial grade, durable blackout fabric. Click to view larger swatches. Decorative Blackout fabric (opaque); 100% Polyester with Acrylic foamed backing, in 4 neutral colors. Click to view larger swatches. Fire-rated (FR) blackout fabric; opaque with no view-through for privacy and room darkening. In 6 decorator colors, with the look and feel of rich cloth; composition: 100% polyester with acrylic foamed backing (PVC Free). Click to view larger swatches. Decorative blackout fabric with a coarse weave texture and thread color variation. 100% polyester with acrylic foam backing in 4 neutral colors. Click to view larger swatches. Decorative blackout fabric with an elegant texture created by fine slubs and knots, with a subtle sheen. 80% polyester, 20% cotton, in 3 sophisticated neutral colors. Decorative blackout fabric with a natural grasscloth appearance, in 4 rich colors with varied thread sizes and colors. 100% polyester with acrylic foam backing. Colors coordinate with Beachgrass semi-sheer fabric. Click to view larger swatches. Decorative blackout fabric with a light and smooth texture. 100% polyester in 5 neutral colors that coordinate with Cobble translucent fabric. Click to view larger swatches. Decorative blackout fabric with a unique weave pattern and resulting texture. 100% polyester with acrylic foam backing, in 3 colors. Click to view larger swatches. Decorative blackout fabric with a textured weave pattern in both directions. 75% polyester, 25% cationic polyester, in 4 colors that coordinate with Conway semi-sheer fabric. Click to view larger swatches. Zenith Fire-rated (FR) blackout fabric layers a subtle, textured pattern over a soft, luxurious backing for total light blockage. 100% polyester with acrylic foamed backing, available in 5 colors. Click to view larger swatches. No matter what your scenario, Insolroll can create or design a custom control package to meet the control needs of your organization. Hardwired Platform– Insolroll® Programmable Motor Controllers (IPMC) Interface for 110V AC Motors, for “Ultimate Control”- seamless connectivity to any home automation switching system via RS232, RS422, dry contact closure or IR emitter. Intelligent Platform– Insolroll® Intelligent Motor Interface for AC motors (IQM-ILT-AC) features programmable motor controllers built into the head of each motor. The ILT family of motors includes both IQM-ILT-AC and IQM-ILT-DC motors for use with our interior shade systems. Radio Platform– “Wireless” Insolroll® Radio Interface for 24V DC and 110V AC Radio Motors; the simplest and most flexible method to interface with any 3rd party automation controls. Radio interface modules offer seamless connectivity to any switching system via RS232, dry contact closure, or infrared emitter. Control office window shades in individual offices with single user remote controls and wall switches. Control hundreds of shades in large building via Building Automation Systems, in concert with HVAC, lighting, etc. Fine tune the control scenario for your building, with as much or as little connectivity as necessary. Insolroll® specializes in motorization for convenience and controls to suit every application.